Mercy’s Executive Director, Christy Singleton, met up with renowned evangelist Anne Graham Lotz last week at the National Religious Broadcasters Convention in Nashville, TN. Singleton took the opportunity to personally express her gratitude for Lotz’s ministry and support of Mercy Multiplied. For nearly a decade, Lotz has provided signed copies of her “Daily Light” devotional to Mercy residents upon graduating from the Mercy program. “Daily Light” is one of the many tools Lotz’s AnGeL Ministries offers to help people develop and maintain a vibrant faith through God’s Word. 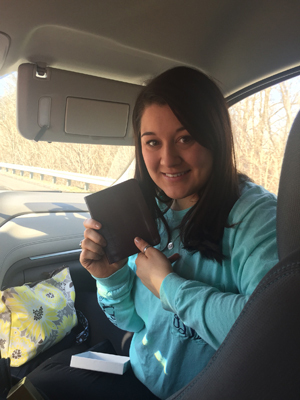 As Mercy graduates live out their healing, tools like “Daily Light” help them “stay in” the Word, one of the four essential “stay-ins” Mercy teaches to maintain life-long freedom: stay in the Word, stay in prayer, stay in church, and stay in fellowship with other believers. The two leaders discussed their organizations’ mutual emphasis on the transformational power of God’s Word. Singleton specifically shared with Lotz how Brittinni, like thousands of Mercy graduates before her, had found healing and restoration through the Word. Lotz and Singleton also discussed AnGeL Ministries’ new initiative, God Speaking. Lotz described her vision for a worldwide movement of believers listening to God’s Word together for one hour a day during the week of August 1-8, 2016. With the support of Faith Comes By Hearing, participants will hear parts of God’s Word from Genesis to Matthew to Revelation, all available in over 900 languages. 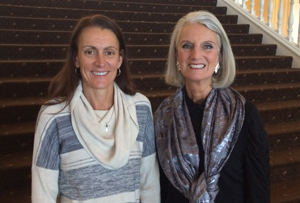 Mercy is grateful for the support of Anne Graham Lotz and AnGeL Ministries. For more information on how you or your organization can partner with Mercy, click here. Learn more about Mercy Multiplied’s free, Christian residential program and resources at these links or call 615-831-6987.